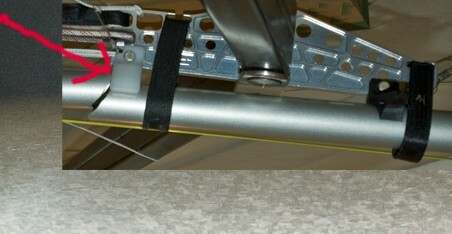 During routine hangglider checks, damage to the keel tube is often noted, particularly, as indicated in the picture at the rear holm attachment point. The DHV recommends all pilots to regularly check for damage to the keel tube as part of their pre-flight checks. Any damage must be correctly repaired to ensure further airworthiness of the hangglider.